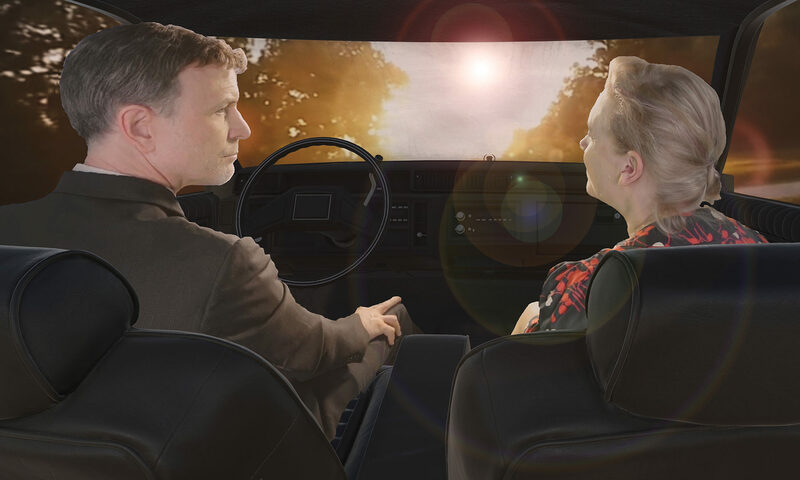 In this emotionally-charged haptic experience for Oculus Rift with Touch, visitors are seated in the back seat of a photorealistic vintage 1986 Cadillac behind two grieving parents, Ed and Mary-Helen, as they take a magic-realist journey down a country road in rural Missouri. Visitors get to know Sebastian, the son they have lost to AIDS, through the drama unfolding in intimate proximity in the front seat as well as by interacting with artifacts from his life: a collection of personal belongings, photographs, and a diary they find in a box on the seat next to them. 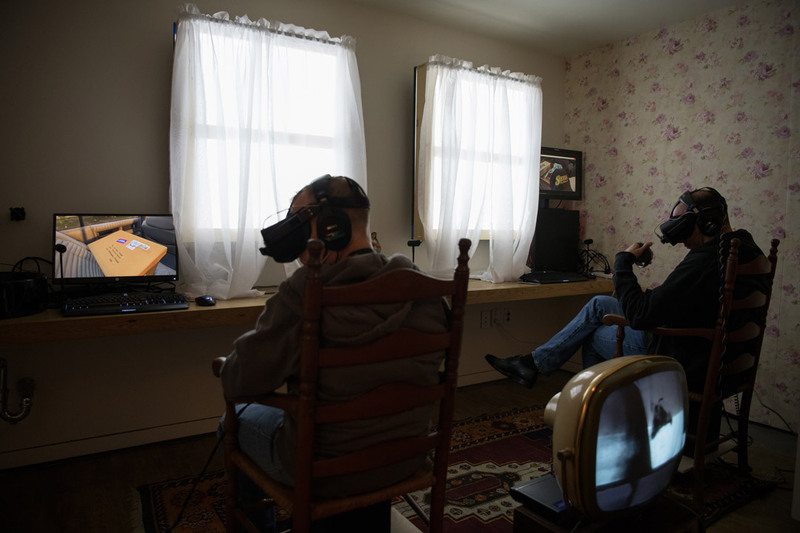 The virtual reality experience is anchored in a site-specific physical, interactive, immersive installation in which we recreate a domestic space — Sebastian’s childhood home — populated with historically accurate, crowd-sourced, and curated objects. We encourage visitors to find an object that resonates with their own story of love and loss and be anonymously photographed with it. This performance photography project became the basis for a series of printed photos that were used for subsequent installations as well as for an artist book. Queerskins employs Unity Game Engine, Depthkit volumetric video, panoramic photography, 360 video and spatial audio. We also harness pre-computer era technology — impactful storytelling, lyrical and emotionally charged writing — to create an immersive, alternative world. This world offers visitors the opportunity to connect with an urgent social message in a non-didactic, emotionally powerful way. 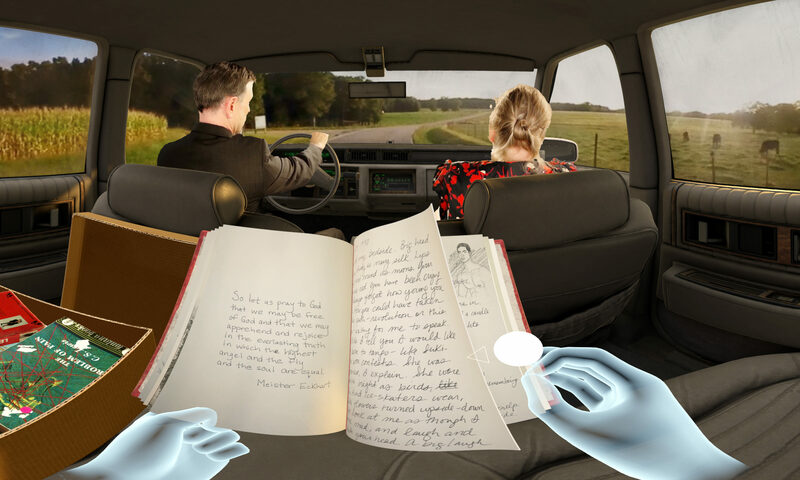 Through story and technology, it puts visitors in the position of experiencing the intimate interior worlds of others. It is our hope that this will lead to an emotional engagement with the characters and themes and an empathy for the characters’ personal experiences, and by extension, for “real” persons who grapple with love, illness and loss. 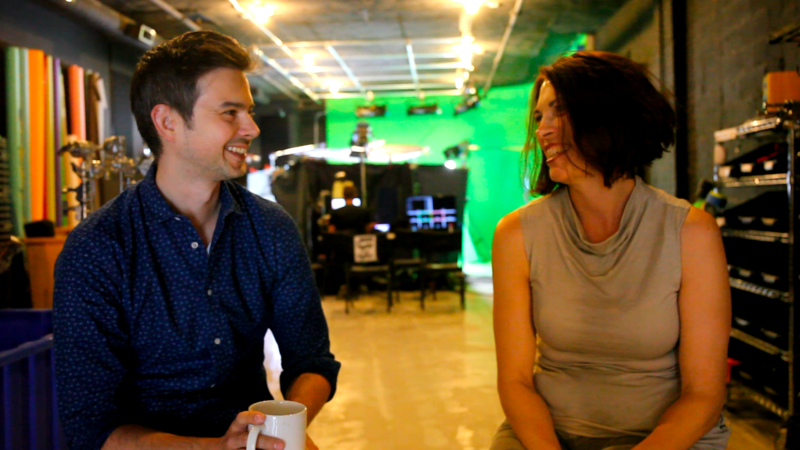 Illya Szilak is an independent scholar, writer and new media artist. In her art practice, she uses open source media and collaborations forged via the Internet to create multimedia narrative installations online. Shaped by her experience as a physician, her artistic practice explores mortality, embodiment, identity, and belief in a media inundated by an increasingly virtual world. Cyril Tsiboulski is co-founder and creative director at Cloudred, an interactive design studio that investigates novel forms of expression through technology. He is also a faculty members at New York University, where he teaches in the Digital Communications and Media Program. Much of his professional and academic work centers around networked technologies and the way they affect human experience. Illya directs Hadley Boyd, who plays Sebastian’s mother, in the front passenger seat and Drew Moore, Sebastian’s father, who drives. Why did you create this work? Why now? It was important to design Queerskins in a way that prevented it from being read (and dismissed) as a “gay” or an “AIDS” story. Although Sebastian’s story is unique, and he is a gay man, the experience of rejection, love and loss is universal. Importantly, we do not ask you to pretend to be anyone you are not. We designed Queerskins so that you can take all your personal history and biases into the experience. Your relationship to the objects, e.g. a Christian cross, a Tom of Finland pictorial, etc. determines how you will reconstruct the man who has died. Was he a “good” man as his mother says or a “disgrace” like his father thinks or maybe just human like the rest of us? We created the experience to actively engage visitor imagination because we know that the discrimination that LGBTQ+ people experience can’t be wiped away by the magic of VR. The fact is when you take off the headset, you will still have to deal with the social, political and economic reality of being gay, or lesbian, or trans, or not. Still, we believe that through our art we can create novel forms of intimacy and new ways of sharing and connecting with and understanding each other. What were you surprised by as you were making it? There is an incredibly potent alchemy that happens when you mix the real and the virtual. We really only began to understand the ethical implications of this after we showed the work. We are still grappling with this and, for this reason, have yet to release it to consumers. What was the most challenging aspect of making it? Queerskins was our first completed VR project as well as our first art installation. This story is deeply personal for both Cyril (as a gay man) and Illya (as a physician trained as an HIV specialist). In fact, in service of the story, we bravely went into spaces and disciplines where we had no experience and we collaborated extensively. Given the complexity of the various tech tools, our lack of a big budget, and inexperience, so many things could have gone wrong. 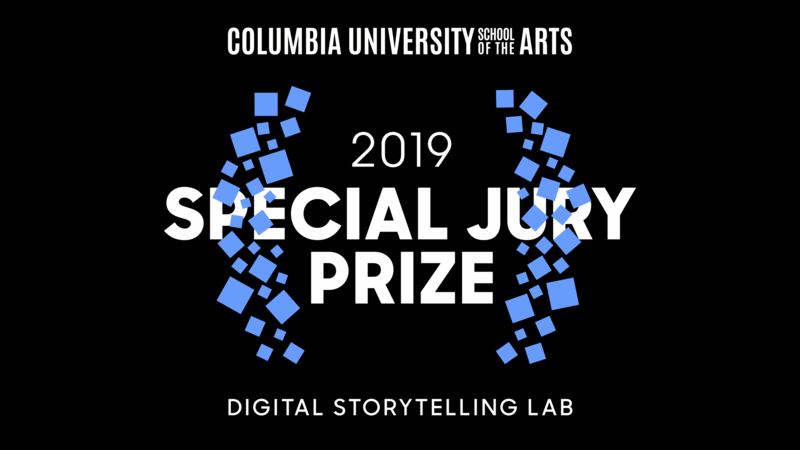 This particular story required shooting 360 video on location in rural Missouri, photogrammetry and 3D modeling of the car, 3D volumetric live action video (Depthkit), CG animation, 3D scanning of archival objects and spatial and binaural audio. But this work and our passion for it attracted so many talented, creative people who all worked together to make it happen. Viewers experience the film in a simulacrum of Sebastian’s bedroom.